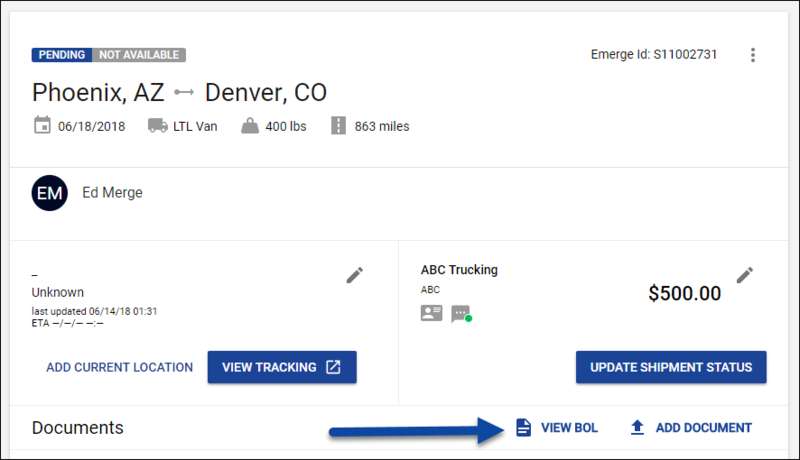 BOLs are now available in Emerge for LTL shipments booked through a carrier that is integrated in LTL Connect! Using the Emerge BOL feature helps to streamline the automation of tracking and document retrieval. After you have tendered the shipment, click on the load while in the tracking tab. Click on VIEW BOL in the Documents section.